Choi Kyu-hah, also spelled Choi Kyu-ha or Choi Gyu-ha, was President of South Korea between 1979 and 1980. October 3 - Security chief Kim Jae-kyu meets democrat politician Kim Young-sam to discuss the country's future. December 12 - Coup d'état of December Twelfth: Lieutenant General Chun Doo-hwan, commander of the Security Command,   orders the arrest of General Jeong Seung-hwa, ROK Army Chief of Staff, on allegations of involvement in the assassination of President Park Chung Hee. A shoot-out at the Army Headquarters and the Ministry of Defense results in Chun and his fellow eleventh class military academy graduates such as Major General Roh Tae-woo and Major General Jeong Ho-yong taking control of the Korean military. The Genealogy is a 1979 South Korean film directed by Im Kwon-taek. Police Story is a 1979 South Korean film directed by Lee Doo-yong. It was chosen as Best Film at the Grand Bell Awards. The Rain at Night is a 1979 South Korean film directed by Park Chul-soo. At the 1980 Baeksang Arts Awards, Park was given a New Talent award for directing this film. The film is based on Park Bum-shin's 1975 novel of the same title. 12 January - Lee Bo-young. 30 January - Nam Hyun-joon. 8 February - MC Sniper. 16 February - Eric Mun. 11 March - Jung Yong-hoon. 10 May - Lee Hyori. 13 July - Lee Jaijin. 28 July - Lee Min-woo. 7 August - Kim Jaeduck. 4 September - MC Mong. 24 Septamber - Kim Jong-min. 21 November - Kim Dong-wan. 27 November - Shin Hye-sung. Lee Bo-young is a South Korean actress. She is best known for starring in the television dramas My Daughter Seo-young (2012), I Can Hear Your Voice (2013), Whisper (2017) and Mother (2018). Nam Hyun-joon, often referred to as Poppin' Hyun Joon or Happy Hyun Joon, is a South Korean contemporary dancer. He is most known for his popping techniques and for being a former rapper of Young Turks Club. On 31 July 2014, it was announced that Nam Hyun-joon had parted ways with Star Empire Entertainment for Happy Face Entertainment. Kim Jung-yoo, better known as MC Sniper, is a South Korean rapper. He is known for writing controversial lyrics that challenge social injustice and mainstream society. He was a contestant on Show Me the Money and a producer on both seasons of Tribe of Hip Hop. He released his first album, So Sniper..., on May 17, 2002. Park Chung-hee, president of South Korea, was assassinated on Friday, October 26, 1979 at 7:41 p.m. during a dinner at a Korean Central Intelligence Agency (KCIA) safehouse inside the Blue House presidential compound, in Gangjeong-dong, Seoul. Kim Jae-gyu, the then director of KCIA and the president's security chief, is responsible for the assassination. Park was shot in the chest and head, and died almost immediately. Four bodyguards and a presidential chauffeur were also killed. The incident is often referred to as "10.26" or the "10.26 incident" in South Korea. Dictionary of Korean modern history, Dictionary of Korean modern history (2005-09-10). "10.26 incident". 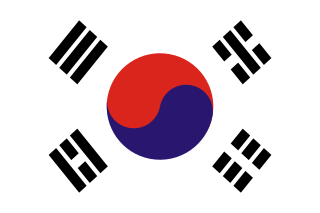 South Korea was the host nation and competed as Korea at the 1988 Summer Olympics in Seoul. 401 competitors, 269 men and 132 women, took part in 218 events in 27 sports. The Korean national basketball team represents South Korea in international men's basketball competitions. It is administered by the Korea Basketball Association. 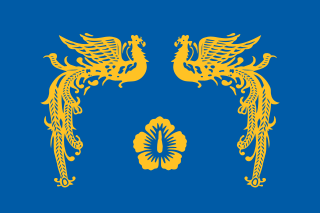 The National Academy of Sciences of the Republic of Korea, is the senior national organization of distinguished Korean scientists and scholars. It was founded to promote learning and research in all areas of sciences by conferring membership and preferential treatment to those who have made outstanding contributions to the advancement of sciences and learning. The Academy consists of 150 Fellows who are selected by their peers for their contributions to the sciences and education. Nonstop (Hangul: 논스톱) is a South Korean sitcom that broadcast its first season in 2000 on MBC. It continued with 5 more seasons. The series was popular for its cast of teen idols, many who debuted through the show gaining vast popularity. South Korea participated in the 2006 Asian Games in Doha, Qatar on 1 – 15 December 2006. South Korea ranked 2nd with 58 gold medals in this edition of the Asiad. South Korea competed at the 2009 East Asian Games held in Hong Kong, China from October 29, 2005 to November 6, 2005. The Republic of Korea participated in the 2010 Asian Games in Guangzhou, China on 12–27 November 2010. Eyes of Dawn is a South Korean television series starring Choi Jae-sung, Chae Shi-ra and Park Sang-won. Directed by Kim Jong-hak and written by Song Ji-na based on the 10-volume novel of the same name by Kim Seong-jong, the story spans the years from the Japanese colonial period to World War II, Korea's liberation and the Korean War. Dummy Mommy is a 2012 South Korean weekend television series starring Kim Hyun-joo, Ha Hee-ra, Ahn Seo-hyun, Kim Jeong-hoon, Kim Tae-woo, Shin Hyun-joon, Yoo In-young and Gong Hyun-joo. It aired on SBS from March 17 to May 20, 2012 on Saturdays and Sundays at 21:50 for 20 episodes. God of War is a 2012 South Korean television series starring Kim Joo-hyuk as the real-life historical figure Kim Jun who was written about in the Goryeosa. It aired on MBC from February 11 to September 15, 2012 on Saturdays and Sundays at 20:40 for 56 episodes.